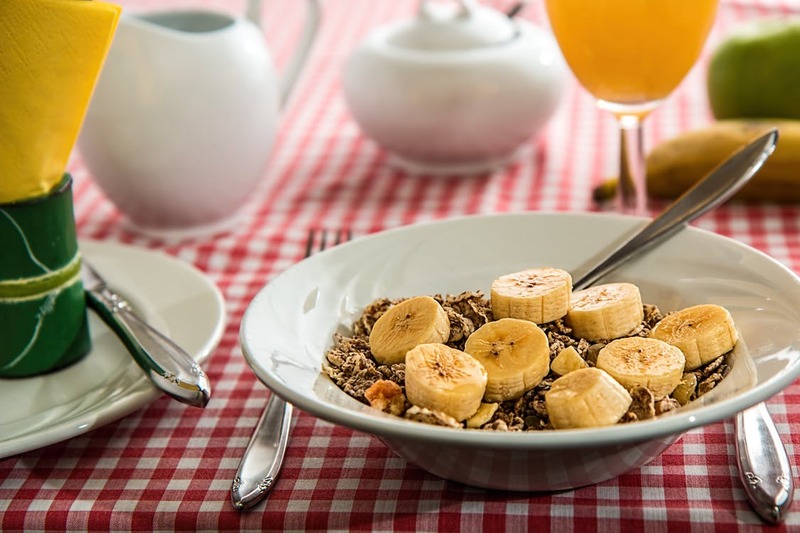 HOMEPersonal Training BlogsAre Carbs Really Bad For You? Over the years, carbohydrates have gotten a bad reputation. I’m sure you have encountered many different types of diets that specifically state “carbs are bad,” and “get rid of carbs completely to lose weight, fast.” These restrictive diets for rapid weight loss can seem very attractive to someone who wants a quick fix. By restricting the amount of carbohydrates you eat, these diets claim that you can turn your body into a fat-burning machine. When you limit carbohydrates, however, you deprive your body of a main source of fuel which contains essential nutrients you need for your overall health. So, let’s go back to the basics. What are carbohydrates? Carbohydrates are foods that get converted into glucose, or sugar, in our bodies, during the digestion process. Glucose is a main source of fuel for the body. It is especially important for brain function–fats and protein are not sources for this. There are two different kinds of carbohydrates: Simple Carbs and Complex Carbs. Simple carbohydrates are sugars –often refined– found in foods such as table sugar (sucrose), honey, dairy products, fruit and fruit juices. Complex carbohydrates are starches and are made up of long chains of glucose molecules usually found in grain products– like bread, crackers, pasta, and rice– and some vegetables– such as peas, white and sweet potatoes, and butternut and winter squash. Complex carbohydrates can be further categorized into refined and whole grain carbohydrates. The nutrients you will be missing, if you were to cut out whole grains and fruit from your diet, are numerous. Those found in whole grains include essential fatty acids, Vitamin B, E, zinc and magnesium. Whole grains also have fiber, which promotes good gastrointestinal health. Fruit and starchy vegetables contain vitamins, minerals, and phytonutrients (beneficial in helping to prevent disease). If you are not getting enough carbohydrates from your diet, then your body must use fat and protein for energy. This is why the carbohydrate-restricted diets claim they are great for weight loss. Fat does not completely digest when it is used as an energy source. By-products– called ketones– are formed, which are mildly acidic. They can build up in the blood and make it more acidic, and over time, this may be harmful for the body. Research shows that those who follow carbohydrate-restrictive diets for long periods of time may be subjected to increases in cholesterol levels. Protein’s main job is to be a building block, not an energy source. Using protein for energy can compromise the building of muscles and other cells. Skip the fruit juice and go straight to the whole fruit. You will feel much more satiated by chewing and consuming a whole fruit, versus drinking the juice. The body does not register satiation by drinking, like it does when eating. Limit the amount of refined sugars, such as high-fructose corn syrup, agave, honey, as well as white and brown sugar. These refined sugars are most often found in cakes, cookies, donuts and anything considered “dessert.” They lack nutrients and yield high caloric values. Choose whole grains, such as brown rice, oats, whole wheat pasta, quinoa and whole wheat bread. Buy products with “100% whole grain” in the title. Make sure you are reading nutrition labels. Do not depend on the front of the package or color of the food! So, what about portion sizes? It’s important to include carbohydrates in your diet, BUT we have to consider how much as well. Carbohydrates are good for you, but an overabundance of carbs can result in weight gain. Try to limit the amount of carbohydrates you eat per meal. Pay attention to the serving size on the nutrition label to find the macronutrient values of your carbohydrates. If you need to” “eyeball” a serving size, we at Horizon recommend the “palm rule.” Serving size equals the approximate size of the palm of your hand. Be mindful of carbohydrate-rich snacks such as chips, cookies, crackers, pretzels, etc. Bottom line: Carbohydrates are a major source of fuel and nutrients for our bodies. They should be consumed as part of a healthy diet, even when the goal is to lose weight. No Comments to "Are Carbs Really Bad For You?"